We did a bit of storm chasing out in Pawnee National Grassland after last night's sunset and here is the result. The blue hour is certainly one of my favorite times to photograph lightning, I hope you enjoy it. Image Notes: Nine stacked exposures at 30 seconds, f/4.5 at ISO 1600. Basically stacked with the same method as star trails, i.e. brightness blending. 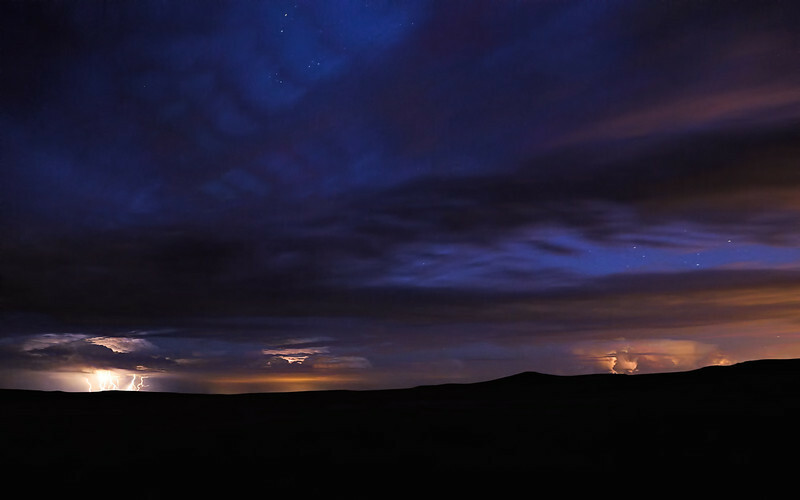 But I only masked in the stacked image where it highlighted the lightning/storm so the clouds/stars stayed put. Noise reduction via Topaz Denoise 4.1 (quickly becoming a favorite NR method).